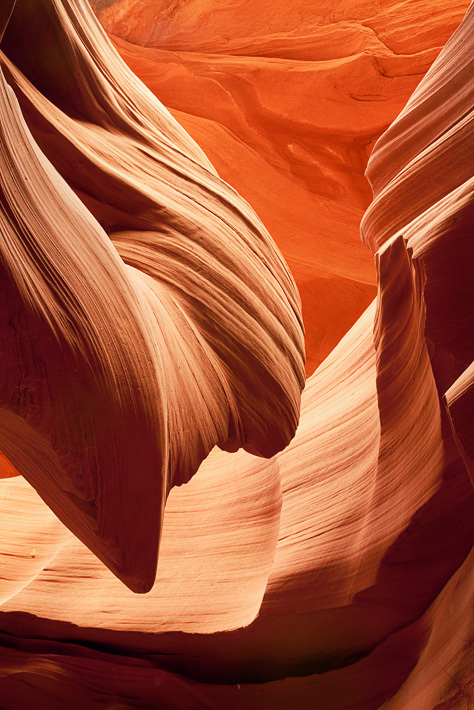 The sensous, sandstone lines, curves, and shadows of lower Antelope Canyon create distinctive opportunities for photographic creativity. The slot canyon is part of the Navajo Indian Reservation near Page, AZ. Photo © copyright by Michael Greene.